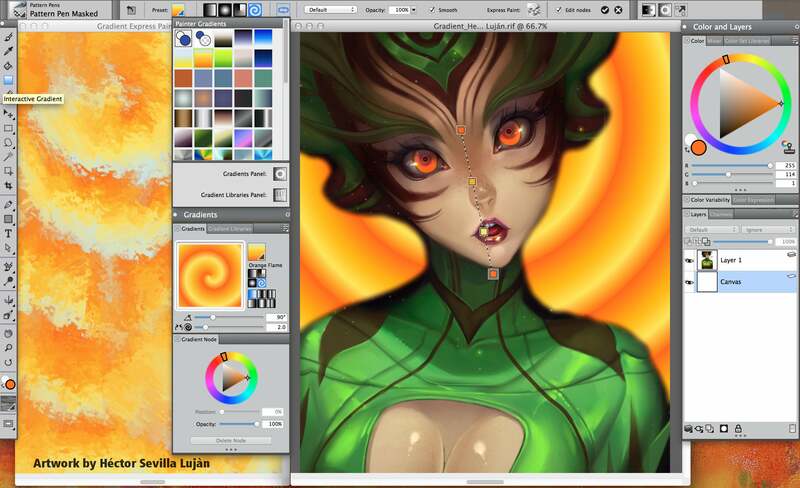 Corel Painter has a long history of serving fine artists, illustrators, comic and manga mavens, and photographers, and every year the company conjures up new features and enhancements to dazzle the faithful. 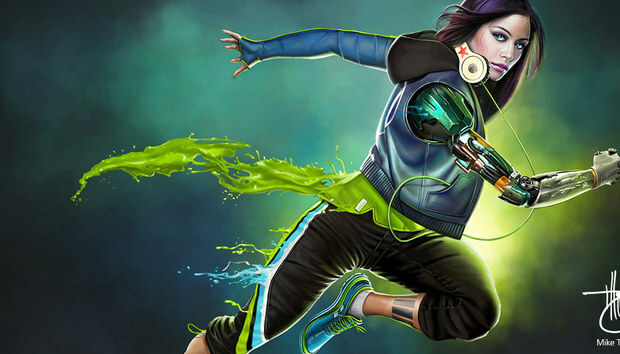 Corel Painter 17, released Tuesday, comes across with some innovative brush actions, alongside new gradient tools and advanced interfaces. 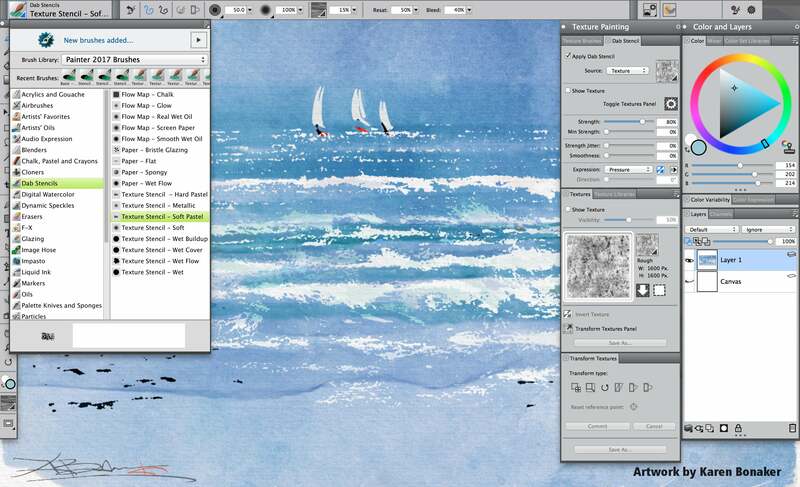 Speaking of brushes, Painter 17’s new Glazing Brushes offer enhanced control over the opacity of your painting on a per-stroke basis, letting you work with transparent and translucent transitions. These brushes give you stroke-level opacity so each brushstroke is applied independently and each dab of paint builds up smoothly, achieving seamless blending between colors without undesirable colors in overlapping dabs. 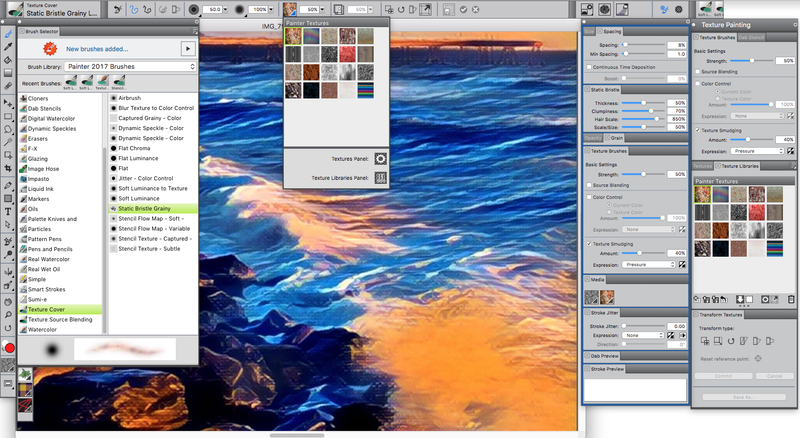 Painter 17’s new Artists’ Layouts, collections of pre-defined user interface workspaces, are designed for different kinds of workflows, letting you view only the relevant palettes and tools for your piece with a single click. There’s even a minimal interface that frees up space for tablet users. You can also choose the two workspace layouts that you use most often and switch between them to suit the current task or the display mode of your device. 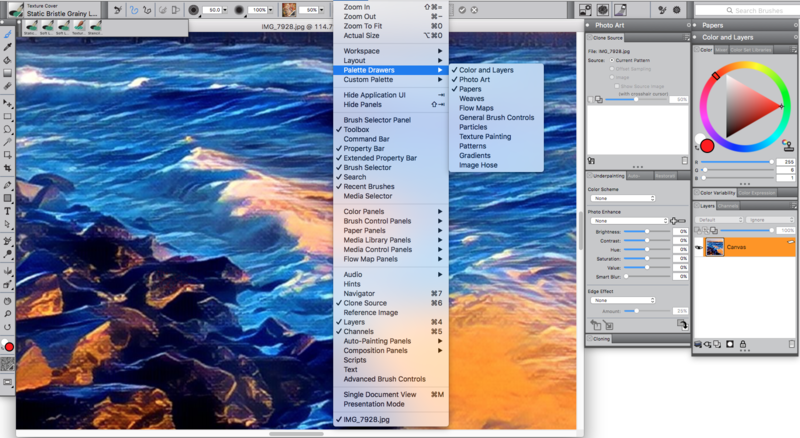 In addition to new brushes and gradient tools, Painter 17 updates some existing features. Dab Stencils offer full control over brushstroke opacity based on the active paper, flow map, or texture. 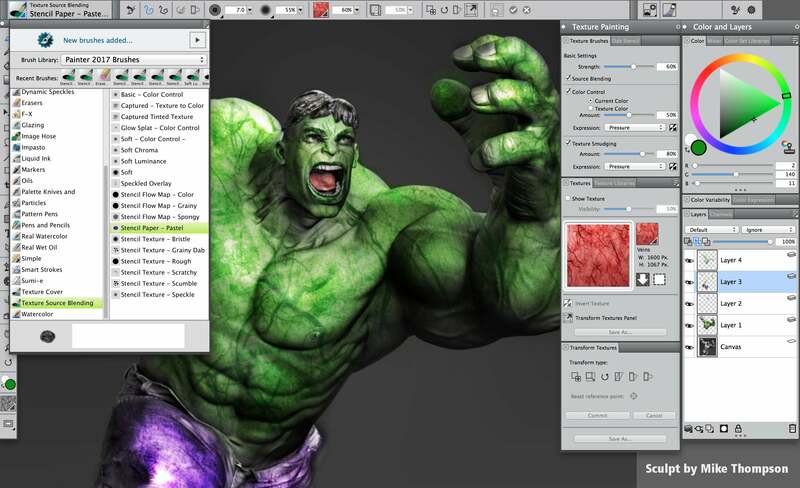 Property bars have been enhanced to make it easier to control and adjust brushes. 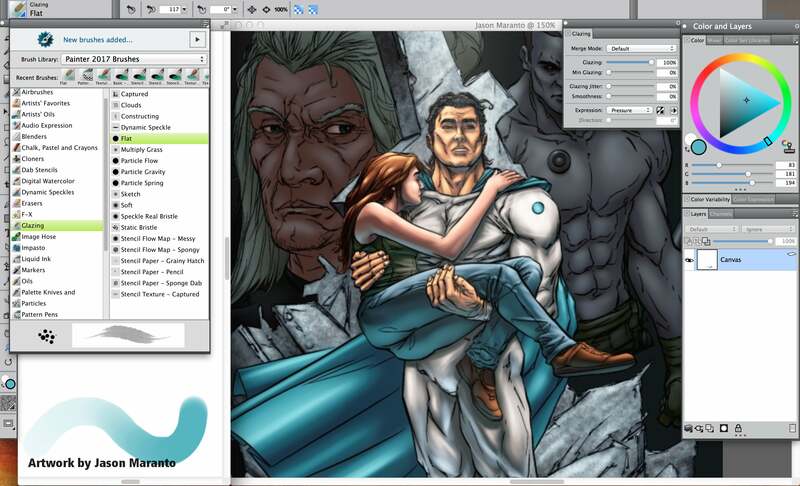 Corel Painter 17 is available for $430; upgrades are $230. It runs on Mac OS 10.9 or higher.